Ivan, a Crowded Earth Kitchen apprentice, is excited to share this recipe with you today. His low-sugar mango jam recipe is simple to prepare and so delicious you’ll wonder why you haven’t been making mango jam for years. Let’s get started! Enjoying first strawberries of summer almost makes the long winter worthwhile. Almost. The thing about strawberries is, they’re delicious for about one day after they are picked. If you have a large quantity of strawberries to preserve, you need to work fast! 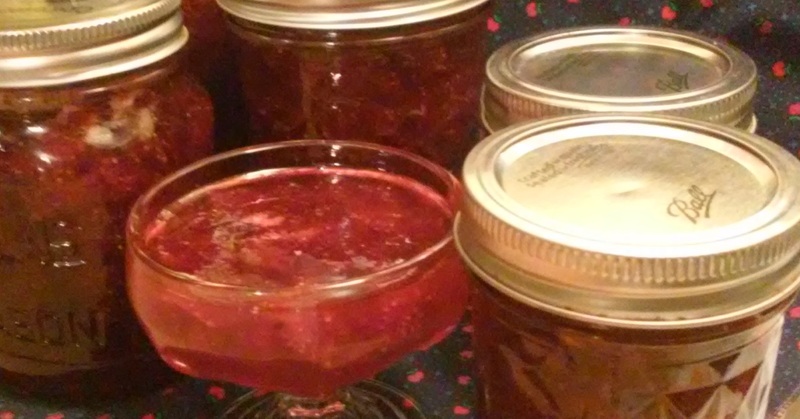 This Simple Strawberry Jam recipe is super fast! Ready… Set… GO! Step 1) Place halved strawberries in a large pot. Mash the strawberries a few times with a potato masher. Add sugar, cinnamon, cloves, and lemon juice. Step 4) Remove the pot from the heat. Add grated lemon zest or vanilla seeds. Stir gently. Allow jam to cool before ladling into storage containers. 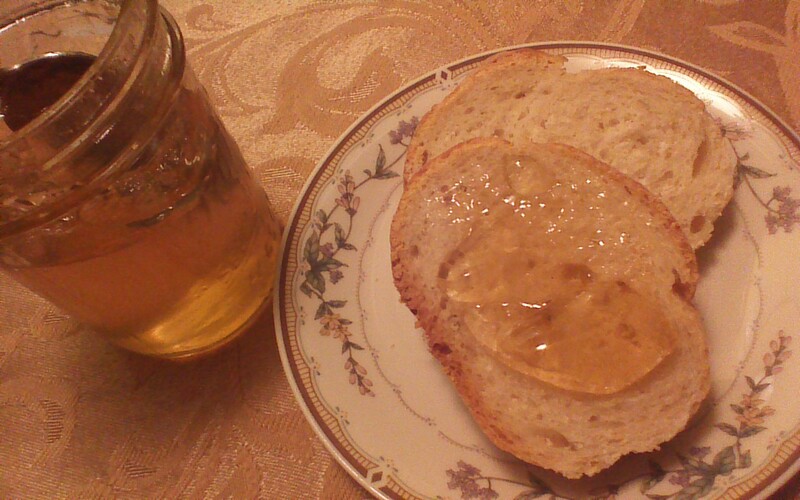 This jam will keep nicely in the refrigerator for two weeks, or can be frozen for up to six months. Audrey, one of the three fabulous fictional ladies featured in Carly Ellen Kramer’s novel How to Bake a Chocolate Soufflé, was delighted to participate in a character interview with N.M. Sotzek at On Writing. 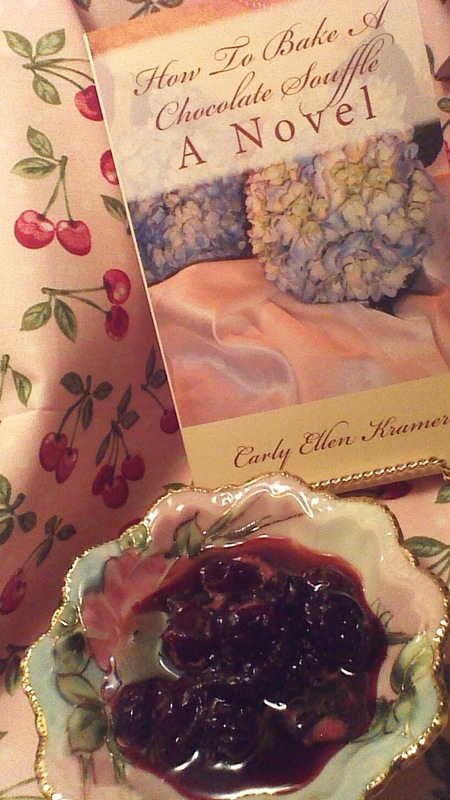 Laugh along as Audrey dishes on her girlfriends and discusses her famous cherry preserves here. The recipe itself is simple… here we go! 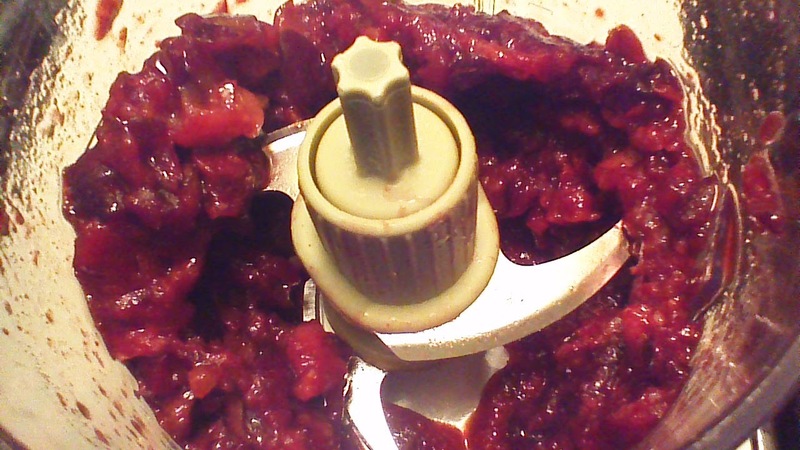 Add half of the pitted cherries to a large pot. Coarsely chop the other half of the cherries in a blender or food processor, and add to the pot with the whole cherries. 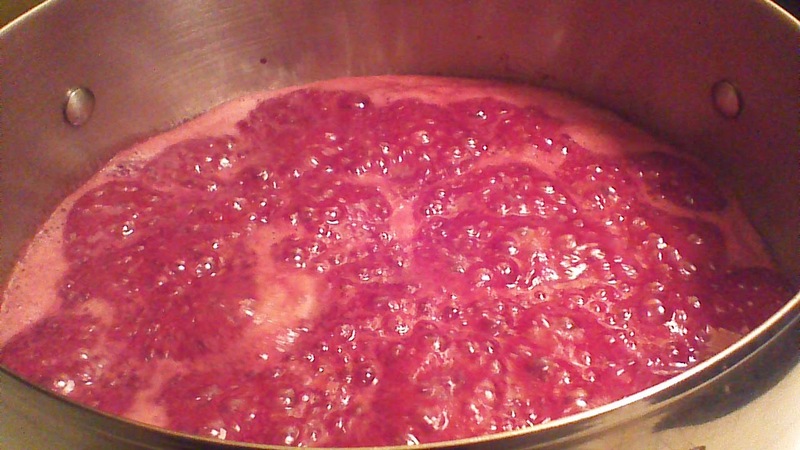 Simmer over low heat with stirring until cherries are soft and release a lot of liquid. Bring to a boil, stirring so that the cherries on the bottom of the pot don’t burn! 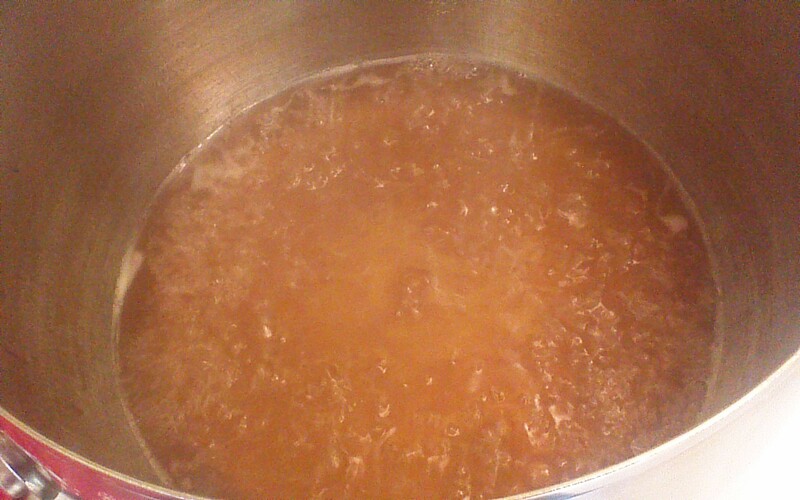 Add marmalade, pectin, and sugar. Stirring constantly, return mixture to a hard boil. Boil for five minutes. 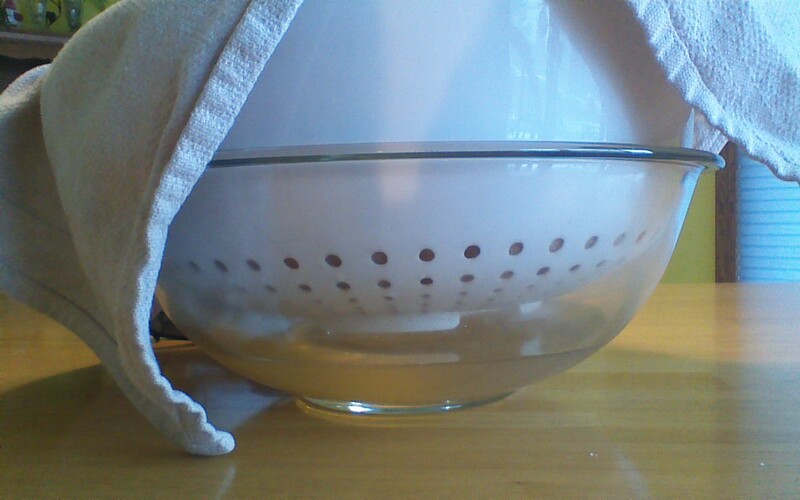 Remove from heat, and allow to cool slightly before transferring to glass jars. If you are canning Audrey’s Cherry Preserves as gifts, process in a boiling water bath for 10 minutes. Makes approximately 6 half-pint jars. Among friends and family, this is my most requested jam. I keep cheerful little half-pint jars of Carrot Cake Jam on hand at all times, because it makes such a perfect hostess gift, teacher gift, get well soon offering, thank you acknowledgment… you get the idea. 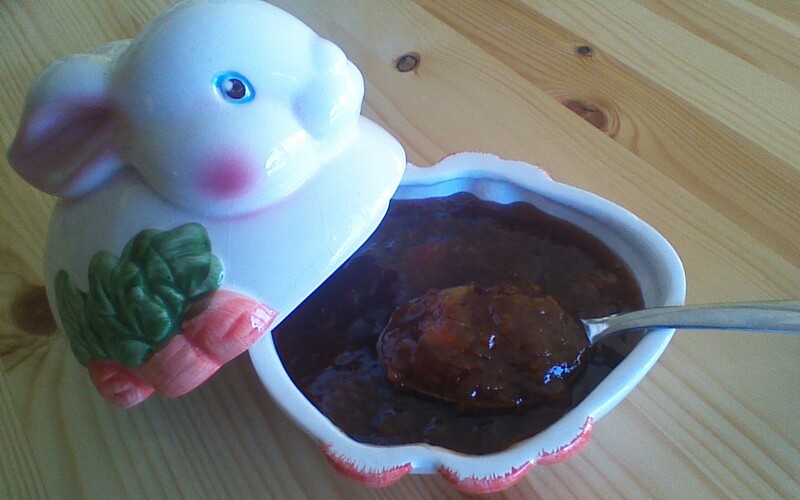 I’m telling you, this jam tastes exactly like carrot cake, without all of the fat (and accompanying calories). Mix a few tablespoons into a cup of low fat yogurt for a quick fruit dip, or spread it on toasted slices of Easter Bread. You’re going to love this! A note about color: I add brown sugar to Carrot Cake Jam because I like the warm depth of flavor that brown sugar imparts. I don’t mind the resulting, darker jam color. 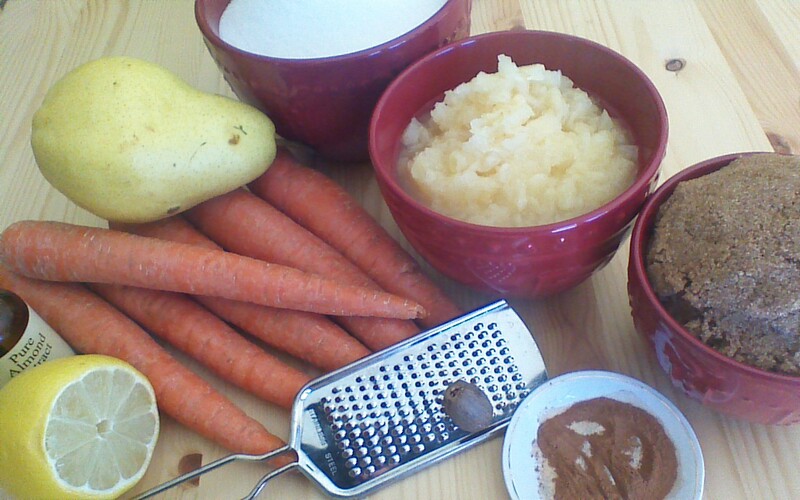 If you’d prefer a bright orange Carrot Cake Jam, along with a lighter flavor, simply substitute the 2 cups of brown sugar for an additional 2 cups of white sugar. 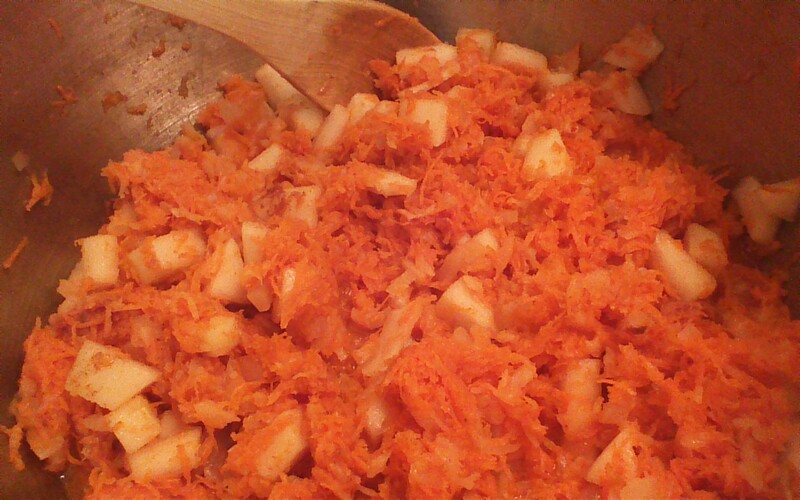 Step 1) Combine finely shredded carrots, finely chopped pear, undrained pineapple, lemon juice, cinnamon, cardamom, and nutmeg in a large pot. Bring to a boil while stirring frequently. 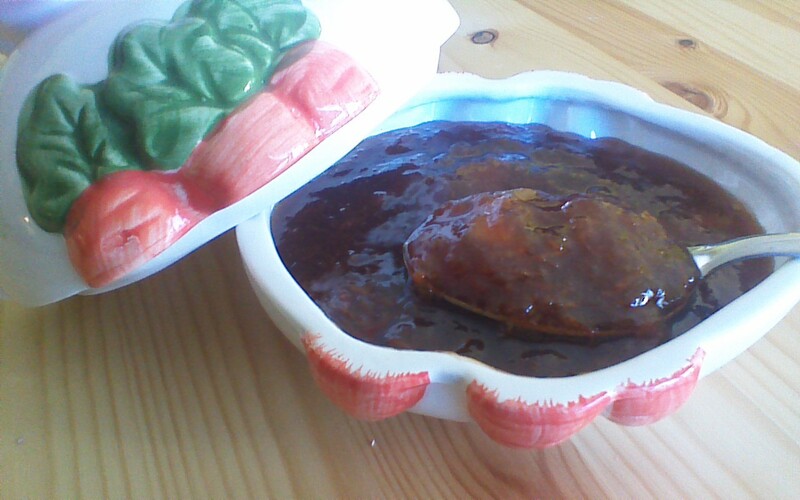 Reduce heat and simmer, covered, for 20 minutes. Stir occasionally. Step 2) Remove from heat. 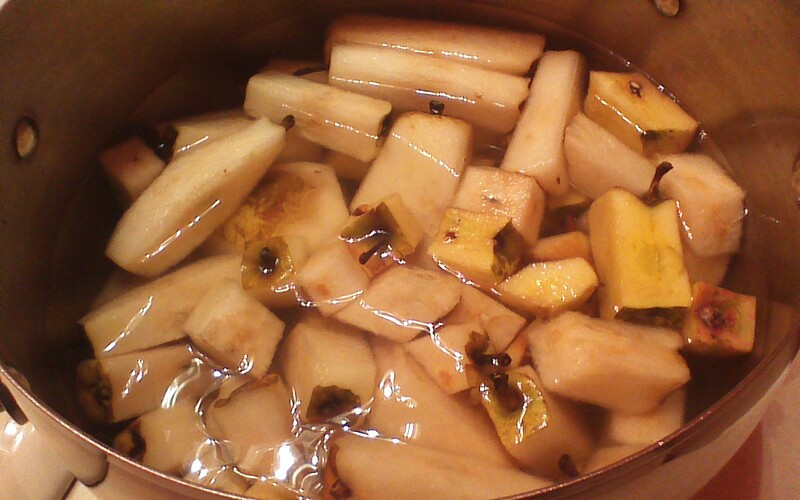 Mix pectin into 1 cup of white sugar, and add to pot. 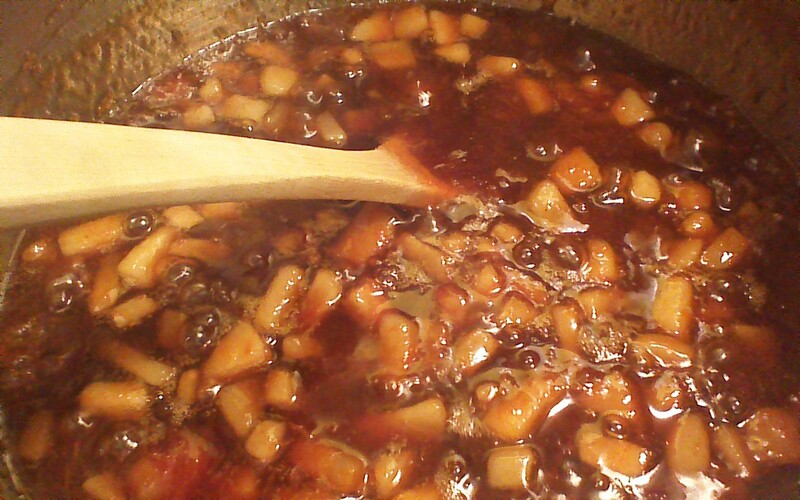 Stir until pectin and sugar dissolve. Step 3) Bring pot to a boil, stirring constantly. Add remaining 3 cups of white sugar and 2 cups of brown sugar. Stir over medium-high heat until the pot comes to a full boil that cannot be stirred down. Boil for 1 minute, then remove from heat. 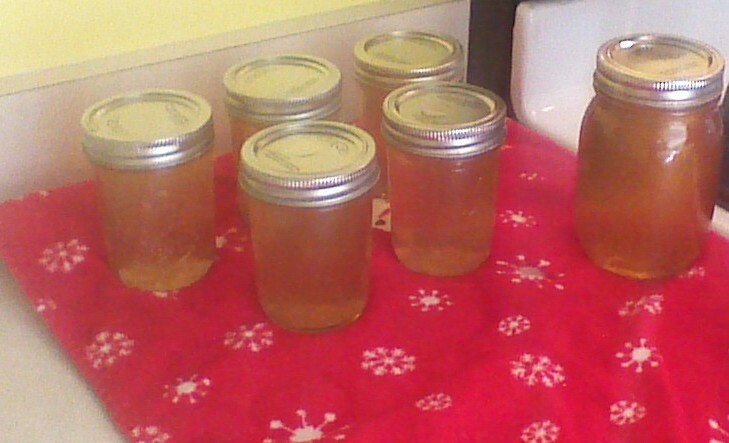 Step 4) Ladle jam into sterilized canning jars. Wipe rims and cover with lids and bands. Process jars in a boiling water bath for 10 minutes. Let sit on protected countertop for 24 hours before giving as gifts (or eating with a spoon, right out of the jar! ).